Dependability, thoroughness, and trustworthiness are attributes that come to mind when you think about housecleaning professionals, and unsurprisingly, these all need to be part of your resume if you hope to land a job in this field. Specialized cleaning experience with chemicals and certain machines are a plus to include. Because transportation between homes can be crucial, noting if you have a driver’s license is also a good idea. If you have experience managing teams of housecleaning professionals, you should include this in your experience section, too. And don’t forgot about customer service, which often plays an important role in your work; you need to include it as a highlight as well as in your experience section if possible. 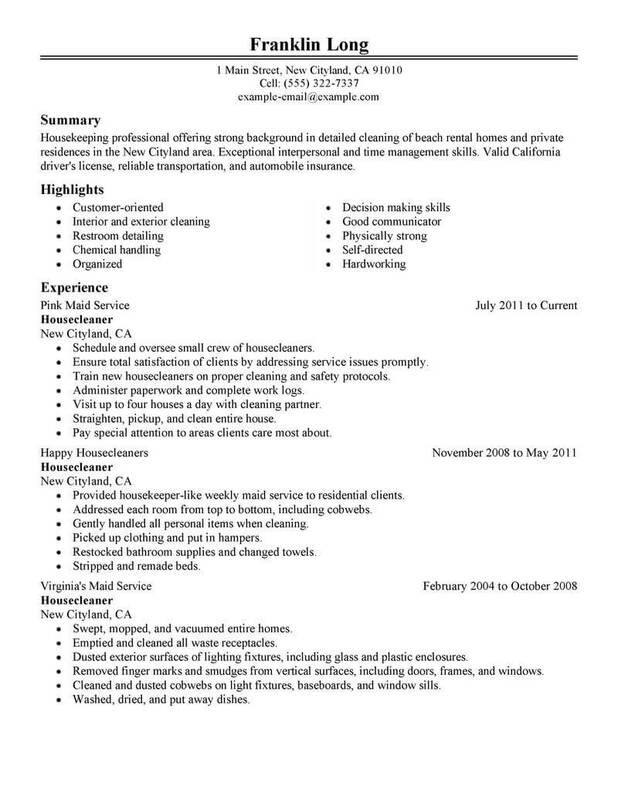 See our housecleaner resume example for tips. Housecleaners provide an important service by helping to keep homes clean and spotless. 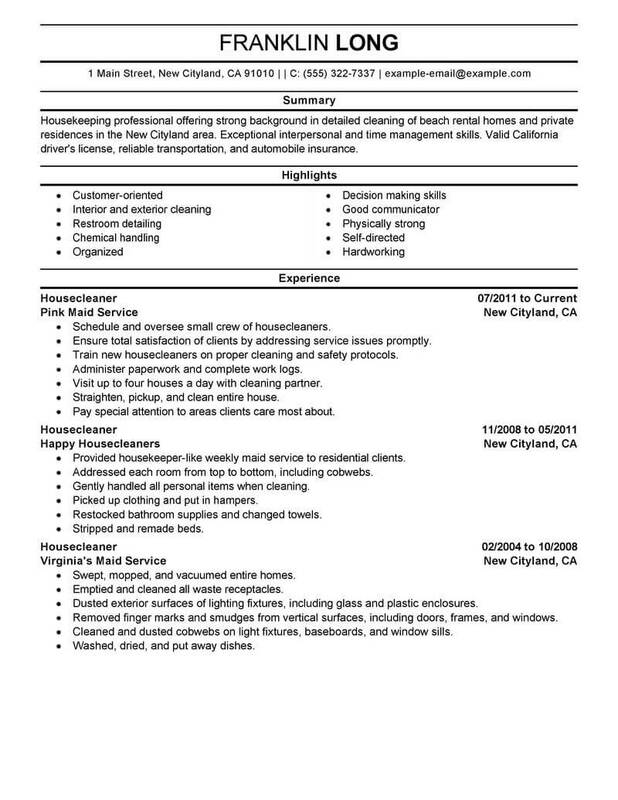 The housecleaners resume examples below are perfect for creating your own resumes. 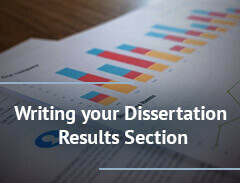 Use them as a starting point, and build a resume to meet your own needs. 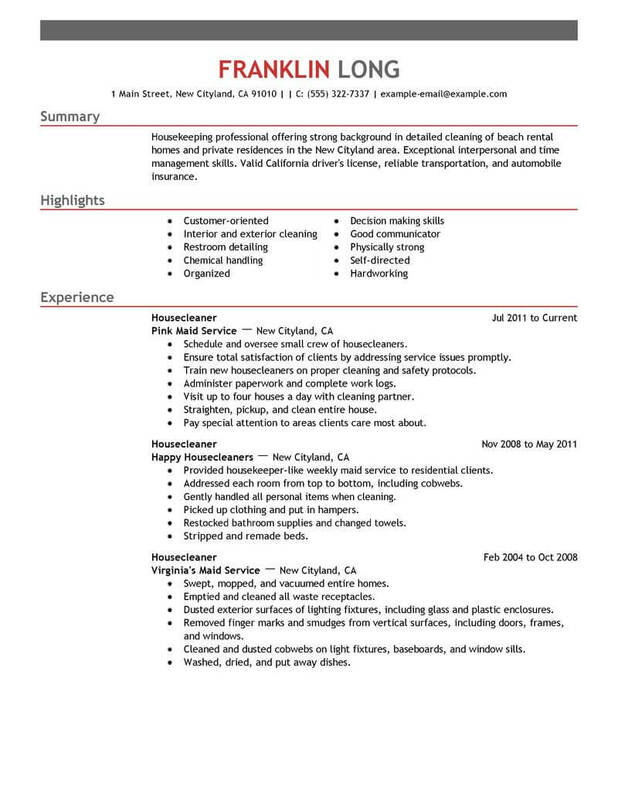 Choose from multiple resume designs. Click on any of the samples below to get started, and get hired sooner! To have a successful job search, you must set goals and stick to them. The following ideas will help you create a plan of action. 1. Polish your resume. Ensure your contact information is current and add any relevant skills, experience, certifications or experience you’ve gained since last time you used your resume. 2. Do something every day. Searching for a job can be exhausting, but be sure to complete at least one task toward your goal every day so you don’t become complacent. 3. Catch up on trends in your industry. Read journals or related blogs to find out about the latest technology, equipment or techniques related to your field. 4. Ensure your social networks are professional and privatize anything too personal. You don’t want to miss out on a job because of the pictures you uploaded from the previous weekend. 5. Attend job fairs and other networking events. Take a business card with you, dress professionally and always be friendly. Whether you’re looking for jobs as a housecleaners or as a member of any other profession, you must have a professional resume if you want to stand out from other applicants. These guidelines will help you write a better resume. 1. Do begin with a summary. 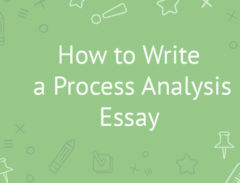 It should be an attention-grabbing paragraph that showcases your most relevant experience and your best skills and accomplishments. Between four and six lines of text is the perfect length. 2. Don’t include information that doesn’t relate to the position you’re applying for. You only need to list experience that will be an asset to the position. The exception is if you don’t have much experience, in which case you should include what you can but focus more on education. 3. Do keep your contact information concise. Include your name, your city and state, a single phone number, a single address and a website URL if you have one. 4. Don’t list your experience as work history because it implies all of the work is paid. Listing it as experience instead allows you to include information such as volunteer work, apprenticeships, or unpaid internships that relate to the field. 5. Do be sure to proofread. No matter how great your education and experience is, if you have missing words, extra words, misspellings or grammatical problems, your resume is likely to be passed over. If you need to, ask a friend or family member to proofread it for you.